The Castle Building Company is an expert design and build home renovation, new home construction, and remodeling firm. We specialize in creating beautiful and functional home renovations in Denver, Littleton, Parker, Castle Rock and the surrounding areas. We pride ourselves in not only improving the look and versatility of our clients’ homes through remodels, but also in creating value. We have extensive experience in remodeling homes and finishing basements in Denver, Centennial, Castle Rock, Littleton and the Denver metro area. This includes renovating older Denver homes such as Wash Park Bungalows and City Park Victorians. We are a pioneer of the pop-bottom (adding a basement to a home) and a leader in the development of the pop-top (adding a second floor to a home) in Denver. In both instances we add a functional level to a home creating usable and valuable square footage. To learn more about our home additions click here. Please do not hesitate to contact us with any questions regarding your home remodeling projects, home renovations or home additions. We offer a free value analysis and consultation regarding your project. Our priorities are service and quality. We make every effort to ensure your home construction project goes smoothly and completes on time. We are looking forward to hearing from you. What the Heck is the Difference Between All These Contractors? When researching general contractors, bids can vary dramatically. 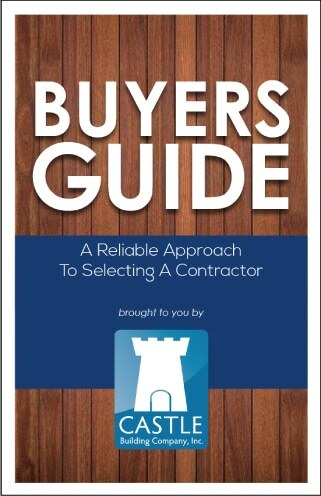 Download this helpful guide for choosing the right contractor and learn the questions to ask and what makes up a quote. 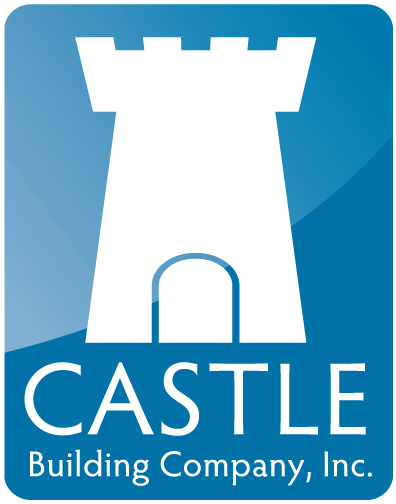 While we hope you choose Castle Builds, the most important thing is that you get your renovation done right. Fill out the form below for your free Buyers Guide download! The Castle Building Company takes great pride in our worry-free remodeling experience and we took notice when we started hearing a manufacturing partner of ours talk about “livable remodeling”. The concept is simple, complete the project in a manner that makes living through the work acceptable – and makes sure that all aspects of the job, including dust management and indoor air quality, are being addressed. Dust and indoor air quality (IAQ) is a focus of this concept because multiple dust generating events (i.e. demolition, dry wall sanding, etc.) will occur during the remodeling process. 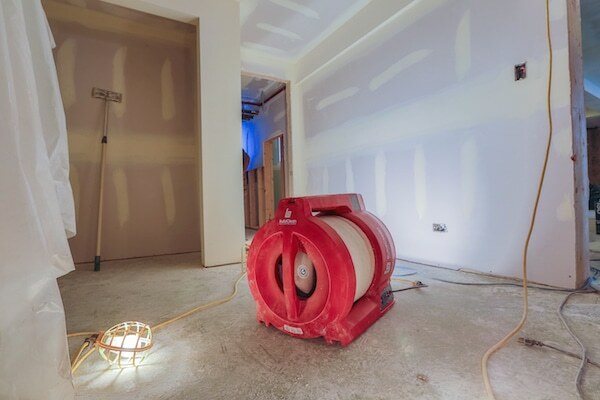 Unmanaged construction dust can cause health issues, damage belongings, decrease your satisfaction with the project, and just become a huge irritant. As a pollutant, dust can cause health problems such as sore eyes, burning in the nose and throat, headaches, or fatigue. In large concentrations construction dust can worsen allergies, respiratory illnesses (such as asthma), and other conditions. The Castle Building Company incorporates a number of best dust management practices along with the BuildClean Dust Control System on every job to make the project “livable” and to ensure that you are highly satisfied. Do you have a garage or patio that you’d like to get coated? 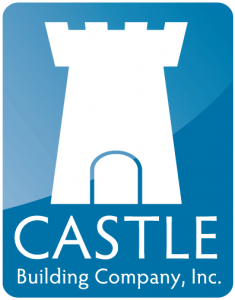 Take a look at our partner website, Castle 1 Day Coatings. Castle 1 Day Coatings provides a floor coating that is 4x stronger than epoxy. Improve the cleanability, durability, and appearance of your garage floor or any other concrete surface. The process only takes 1 day and boasts a 15 year warranty, so you know it’s made to last.